We are also successfully matching up with the requirements of a wide range of equipment finding application in Spa and health clubs. The offered range comprising of aromatherapy spa products including relaxation bath salts, relaxation massage lotions and relaxation shower gels. These can be used either alone or together and help users get benefited from the aromatherapy spa experience right in comforts of their homes. 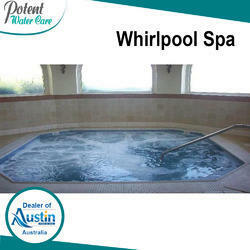 The range offered by us includes Sauna, Steam Bath, Jaccuzi and Chiller. This model EURO 8001 has more jets for the character. In addition to the jets, the size and power of the pumps will affect the overall quality of your hydrotherapy. The pump generates the air that shoots the water through the jets, so it's important to have a pump that is sized appropriately for your model. Essentially, the more jets on the hot tub, the bigger and more powerful the pump needs to be. 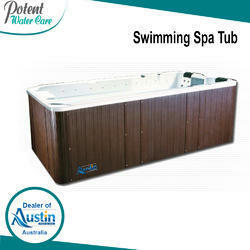 If you would like to have more jets for your spa, this model EURO 8001 is your best choice. This model EURO 8001 has more jets for the character. In addition to the jets, the size and power of the pumps will affect the overall quality of your hydrotherapy.The pump generates the air that shoots the water through the jets, so it's important to have a pump that is sized appropriately for your model. Essentially, the more jets on hot tub, the bigger and more powerful the pump needs to be.If you would like to have more jets for your spa, this model EURO 8001 is your best choice. Relying on our expertise, we are engaged in dealing in wide range of Steam Generator in the industry. To meet the specific requirements of our clients, our products are available with supreme functionality. Quality of our offered products range will meet the define quality standards. 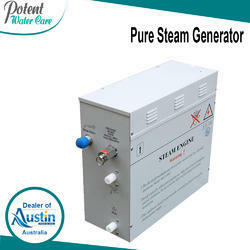 Our offered range Steam Generator is superior in designing and safe in use. We deliver our assignments using customized packaging standards. Our organization is committed for the time bound delivery of our assignments. 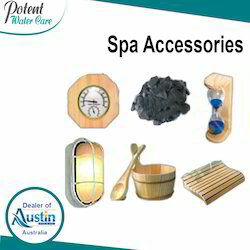 We are the leading suppliers of all kinds of SPA Accessories in India. Looking for Spa & Healthclub ?